Georgetown University students voted on Thursday for higher tuition fees to pay reparations to descendants of slaves connected to college’s past. The student activists at Georgetown say they are blazing a trail on the issue of reparations. “I don’t see why this institution can’t lead the nation and these students can’t lead the nation and this society in grappling with how do we get this done,” Mélisande Short-Colomb, a student at Georgetown, told Newsweek. 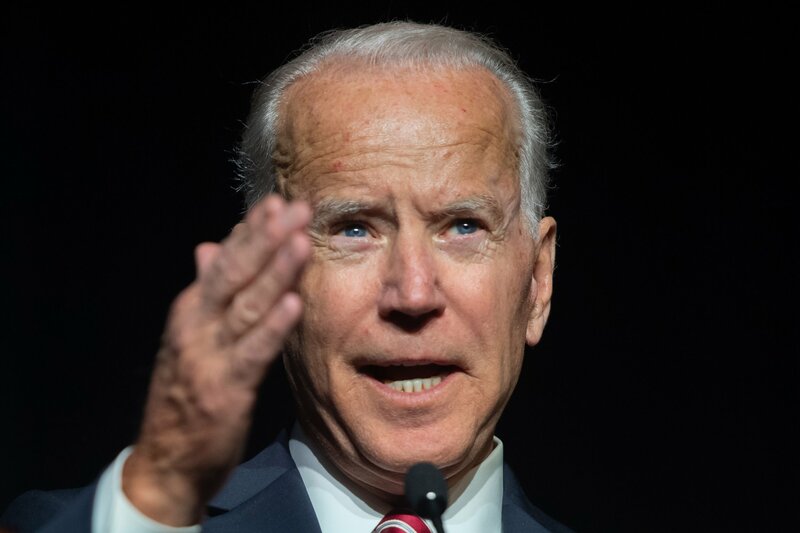 Debate over reparations for America’s history of slavery has intensified this year with several contenders for the Democratic presidential nomination promising to support the idea. Their critics inside and outside the party argue that any national reparations plan would be impractical and unfair. Georgetown, the oldest Catholic University in America, survived financial troubles in its early years in part because its Jesuit leaders sold 272 slaves to plantations in Louisiana to help pay down debt. The referendum—dubbed GU272 in their memory—mandated adding a fee of $27.20 to each student’s tuition per semester, beginning in 2020. Almost two-thirds of students voted in the referendum and 66 percent of them supported the measure. The vote is not binding on university officials who decide tuition costs. Maya Moretta, one of the students at Georgetown who advocated for the resolution's passing, told Newsweek that after working as a research assistant at the Georgetown slavery archives, she realized the student body had a unique opportunity. Hunter Estes, a senior at Georgetown, opposed the referendum, in part, because it wasn’t specific about where the money would go. Moretta said the students had left the reparations plan “intentionally vague,” to allow descendants of the 272 enslaved people decide how the funds would be used. Shep Thomas, who had ancestors enslaved at Georgetown, said the reparation money could go toward internet access, medical services, and, in his opinion, part of it would go toward education. When some of his ancestors were on Georgetown’s campus, they were seen as less than human. Now, he’s a junior at the prestigious university and is advocating for reform that would help to financially compensate for the contributions his family made. 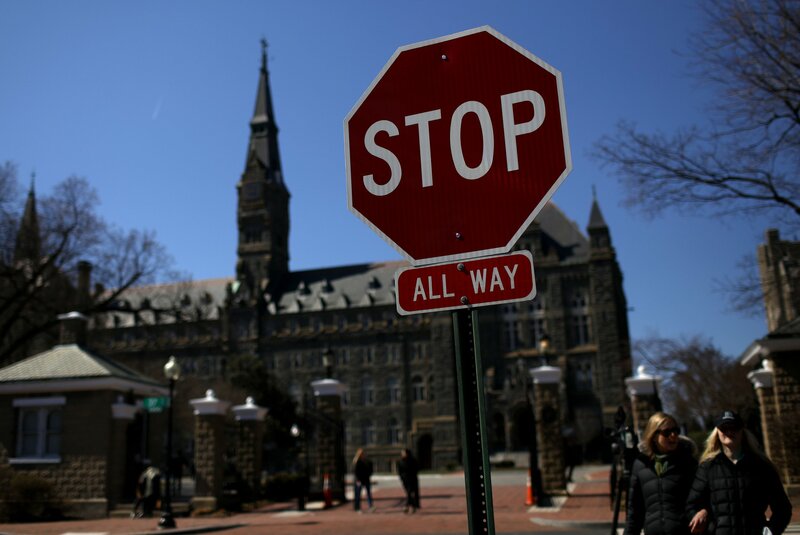 Short-Colomb noted that Georgetown University offered legacy status to descendants of slaves, but explained many people aren’t interested in coming to Georgetown. What the referendum would do, she said, is give the descendant community the ability to vocalize their needs. According to Short-Colomb, reparations have been talked about for decades, with every generation saying it’s not their burden. She acknowledged the plan is imperfect but said critics should propose a strategy of their own. "We all agree something wrong has happened," Short-Colmb said. "So, if this is not the plan and you oppose the plan, what's yours?" 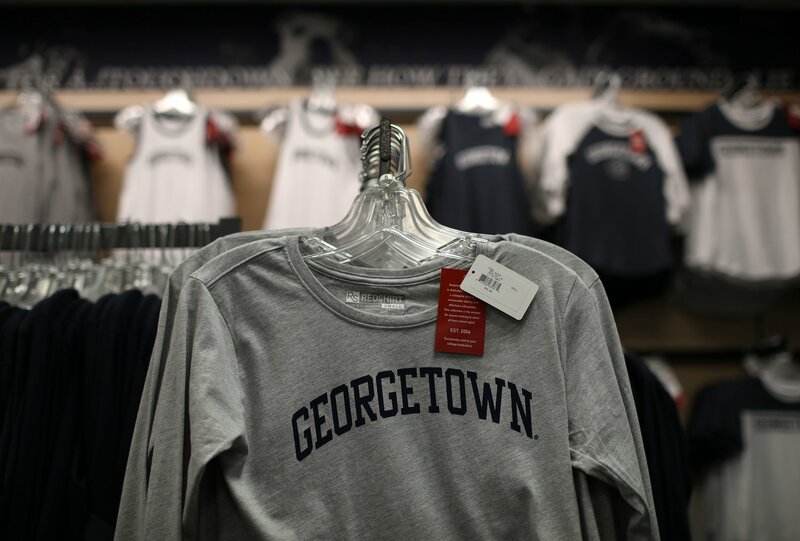 For Estes, the path forward wasn't “trying to put an empty number on the price of repayment,” but finding ways Georgetown could reconcile with its past in a way that’s unique to the university. In Estes’ opinion, financial justice isn’t the proper avenue. Another common criticism of reparations is that it puts blame and punishment on people who weren’t alive, and may not have even had ancestors that were in the country during America’s dark history. However, Thomas explained the goal isn’t to impart blame on anyone, it’s to recognize the privilege Georgetown students have today because of those who came before them. Moretta is a descendant of enslaved people and said her current and future identity as a Georgetown student—and later an alumnus—is owed to the people who involuntarily sacrificed to establish the university.